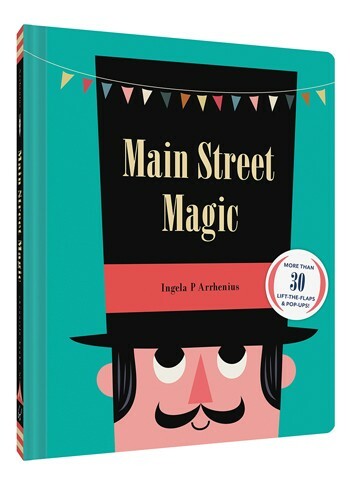 Main Street Magic by Ingela P. Arrhenius is a beautifully designed, marvelously illustrated book with over 30 flaps to lift and peek under. More than a story, Main Street Magic is a meandering stroll through the shops and sights with surprises hidden here and there. 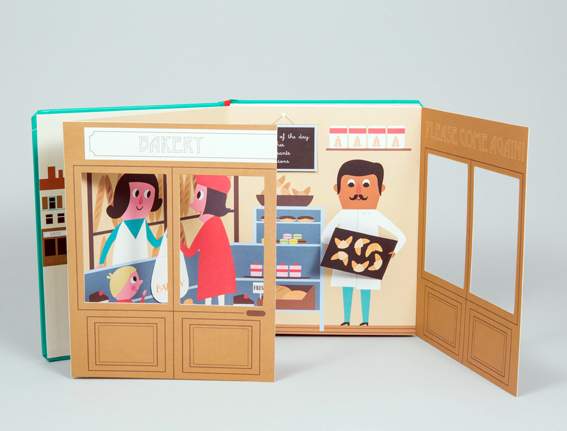 Starting at the bakery, each stop unfolds over two, two-page spreads. There are mice munching macarons and snakes in the sewers. There are cats in the salon and dogs munching bones at the Natural History Museum. 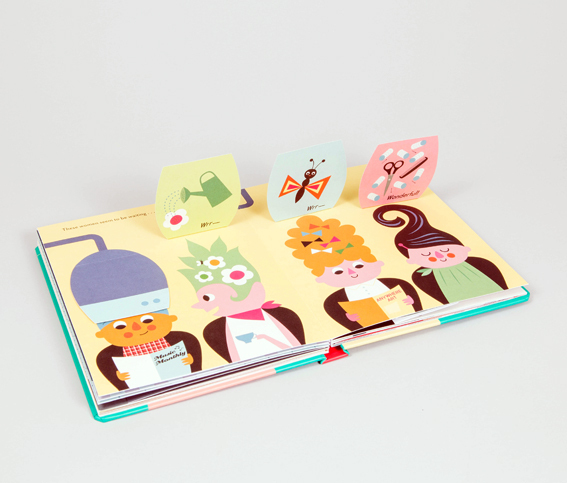 The journey ends at the circus where two flaps open to reveal what's inside the tent where the ringmaster and the elephant each have something hidden under their hats. 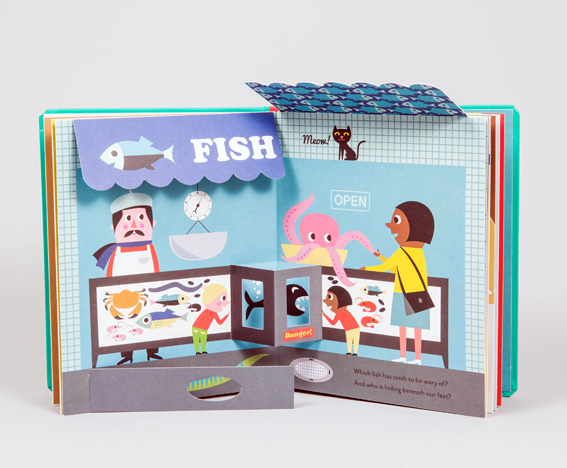 There is some visual and verbal wordplay, although sometimes the text seems like something was lost in the translation from the original French to English. 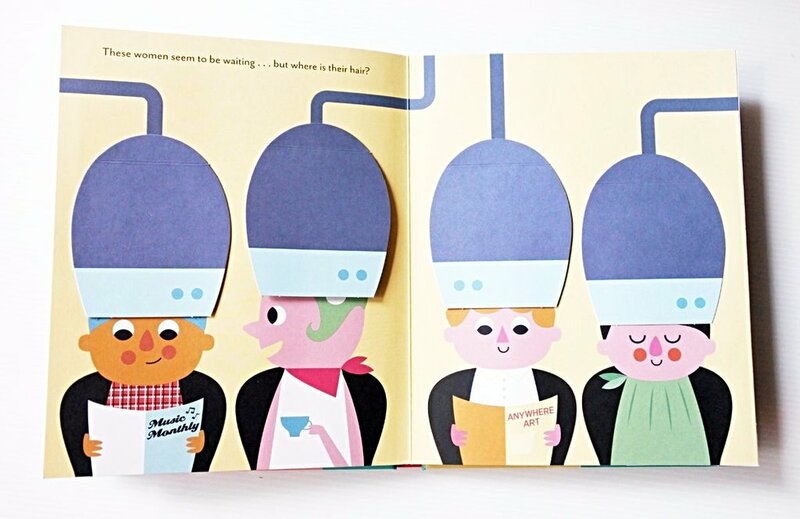 Even so, Main Street Magic is utterly charming and a delight to pore over.